This bundle includes the slides for only module 3 in Unit 7. 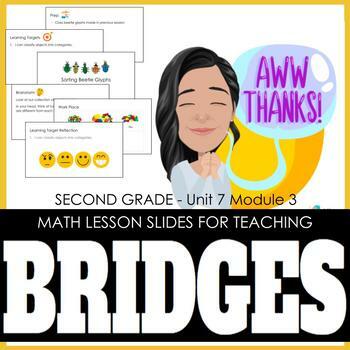 Use these slides to teach Bridges instead of wading through your TE! You can upload them into your 'Google Drive and edit them in Slides, if you'd like. Use an iPad? You can use the slides on Noteability, airplay it and have students draw on the slides as you teach the lesson. - Funny memes and Bitmojis, which you can change to reflect you!